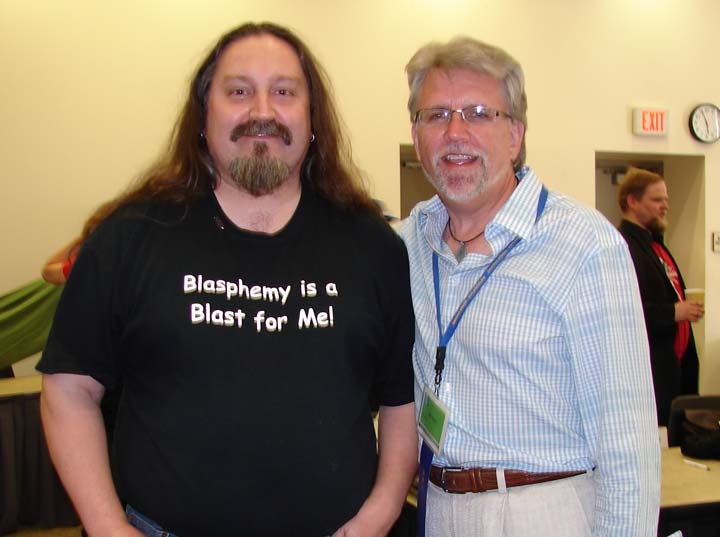 The Orange County Freethought Alliance Conference (3rd Annual) is “in the can” and I had a blast. I went as part of a contingent from my local Atheist, Agnostic & Skeptics Meetup group, which had purchased a table at the event. The table was right up front next to the speakers table, all the people in our group were great and there were lots of interesting talks presented! I got to meet lots of new people and say hi to familiar friends and colleagues. Dave Silverman, president of the American Atheists who was famously challenged by Bill O’Reilly to explain how every day the tides go in and go out with “never a miscommunication”. 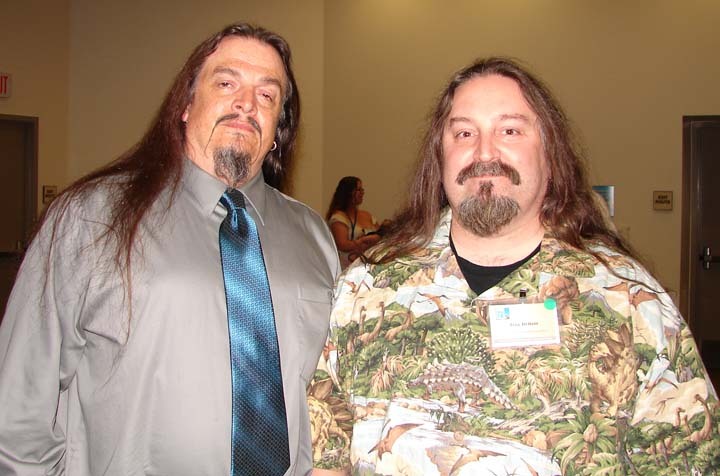 Aron Ra, a very popular YouTube anti-creationist and veteran of the talk.origins newsgroup. I had three people think I was him, before he arrived, though I’m not sure why. Considering how many things we share in common, it is somewhat surprising it took this long for us to run into each other. Mr. Deity, AKA “El“, AKA the very funny Brian Keith Dalton. If you don’t know who Mr. Deity is, go right now to his YouTube channel and start with episode one. 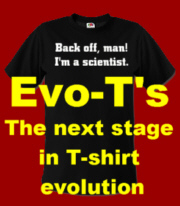 See also the official Mr. Deity website. The end of the conference came late Sunday afternoon just as a partial solar eclipse started and the organizers had two telescopes set up with special filters to allow us to safely view it. One of the scopes just showed the sun as a white disk with the moon cutting into it but the other actually allowed you to just make out the filaments of the many loops, flares and prominences in the corona of the sun. I have seen many pictures and films of these phenomena before but this was the first time I actually saw them with my own eyes. Incredible. 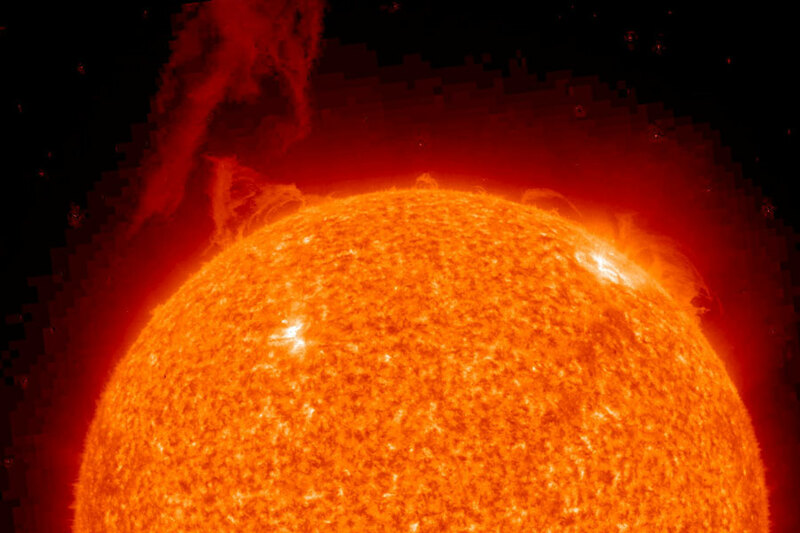 A NASA photograph showing solar prominences etc. Once again I have a really great time and all the people I talked to, especially those at our table were a lot of fun. Thanks to Aaron for organizing our contingent and to the other members of our group for being such good company! My only regret is I got a bit distracted and got out of there kind of quickly at the end and didn’t get a chance to say a proper goodbye to them or to my friend and colleague Barbara Forrest (who was one of the speakers). Hopefully I’ll get to see them all again soon. 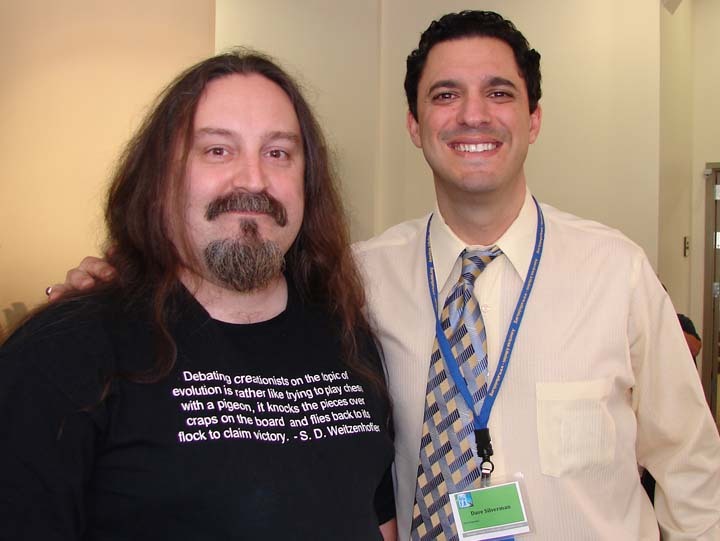 If you’re interested you can watch a streaming video or buy a DVD of the event from the O. C. Freethought Alliance (look for the guy in a black t-shirt with the long hair near the front) and if you live in the area consider attending the 4th Annual O. C. Freethought Alliance Conference in 2013. You just might see me there in person. This entry was posted in Astronomy, Freethought, Humor, Personal, Philosophy, Skeptical inquiry and tagged agnosticism, Aron Ra, astronomy, atheism, Dave Silverman, freethought, Humor, Mr. Deity, Orange County Freethought Alliance, skepticism, solar eclipse. Bookmark the permalink. 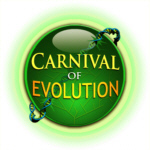 ← Pay no attention to the creationists behind the ID curtain!